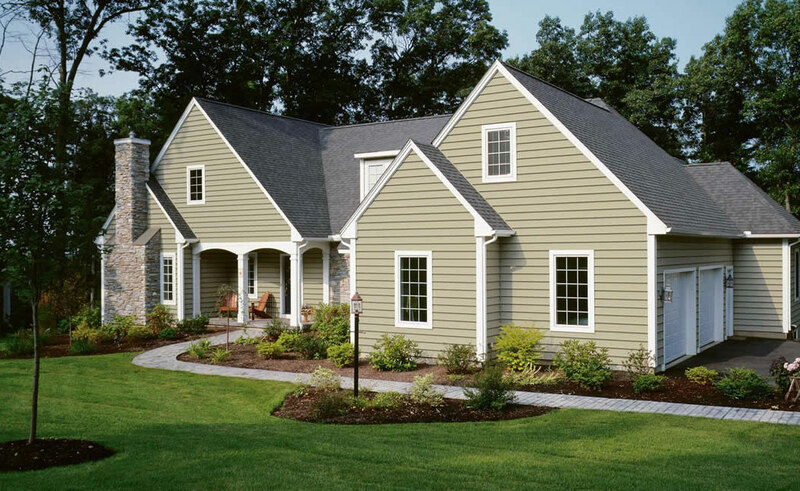 When beginning a painting project, it’s important to understand exterior painting techniques are different than interior ones because of the variety of types of walls, siding and equipment that is needed for both projects. At Rock Solid Roofing you’ll find the best, professionally skilled contractors who are devoted to ensuring your home remains in safe, proper condition to protect against exterior environmental elements while looking terrific by ensuring the best exterior painting job. The team has plenty years’ experience improving, upgrading and replacing residential and commercial roofs, gutters and painting, and it shows in the quality of their work. Our commitment to quality is unwavering and we guarantee satisfied home and/or business owners. Whether your project is for preventative or emergency services, our contractors will promptly visit your office to analyze the project and provide a free, affordable estimate for the repair(s) or if needed, replacement of the roof. During the inspection, we will look for common roof problems such as flat roof leaks or low slope roof issues that may be caused by hail, wind or storm damage and perform a basic roof –check-up. Having a roof repaired or replaced may be stressful to a home or business owner, and finding a reliable contractor is vital. At Rock Solid Roofing we take the pressure out of the process and stand behind our reputation of excellence and satisfaction by working through the process side-by-side with our clients from initial inspection through the entire restoration process and will remain committed to you years after. We are fully licensed and insured, and pledge the best work -residential and commercial. Rock Solid’s experience in general contracting exceeds expectations as specializing in repairing and restoring roofing systems to like-new condition is our priority. Rock Solid Roofing is considered to be one of the most premier roofing companies that take great pride in integrity, quality of craftsmanship, customer service, and customer satisfaction. We believe in making sure each and every customer is completely satisfied, even years after the job is completed. There is no project our professionals can’t handle- from the most intricate and demanding to a general inspection or simple repairs. Call us today- we are on hand to answer your questions and help make sure you have the best experience possible. Rock Solid Roofing LLC will perform a FREE inspection of your roof and provide a no obligation estimate for needed repairs or replacement. To arrange for your free inspection, call or fill out our request form.